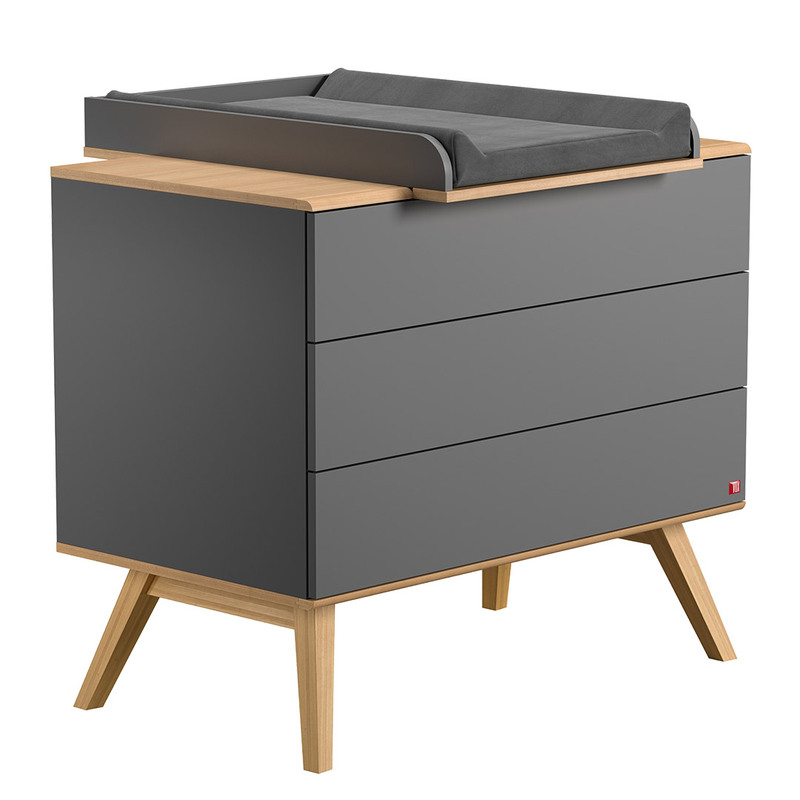 The stylish Mitra Cot Bed – Graphite by Vox will grow with your child throughout their development since it is convertible into a contemporary toddler bed. 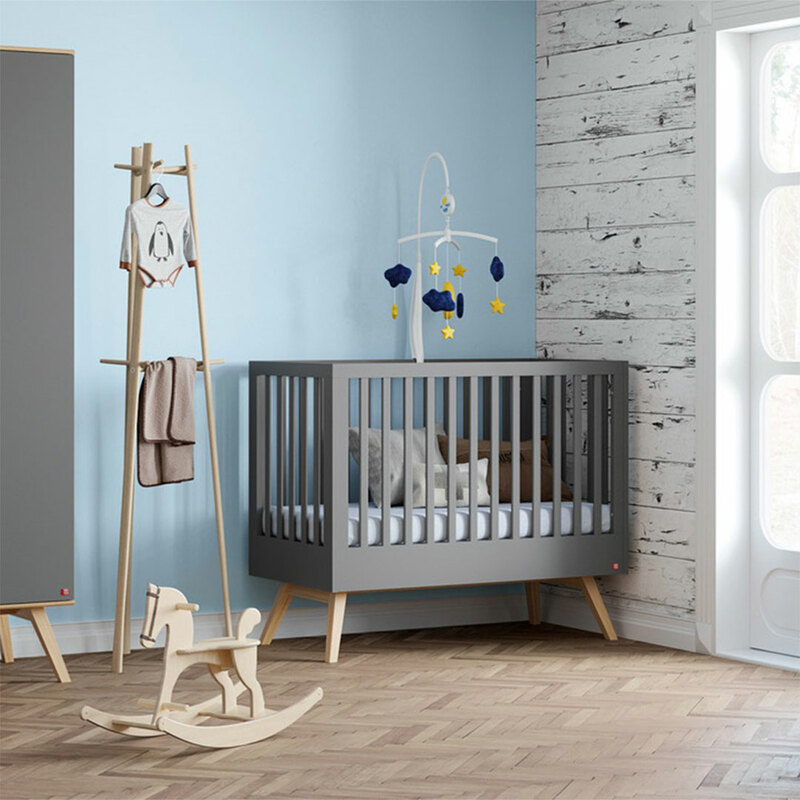 The Mitra Cot Bed is adjustable to three levels to be systematically lowered as your baby develops. 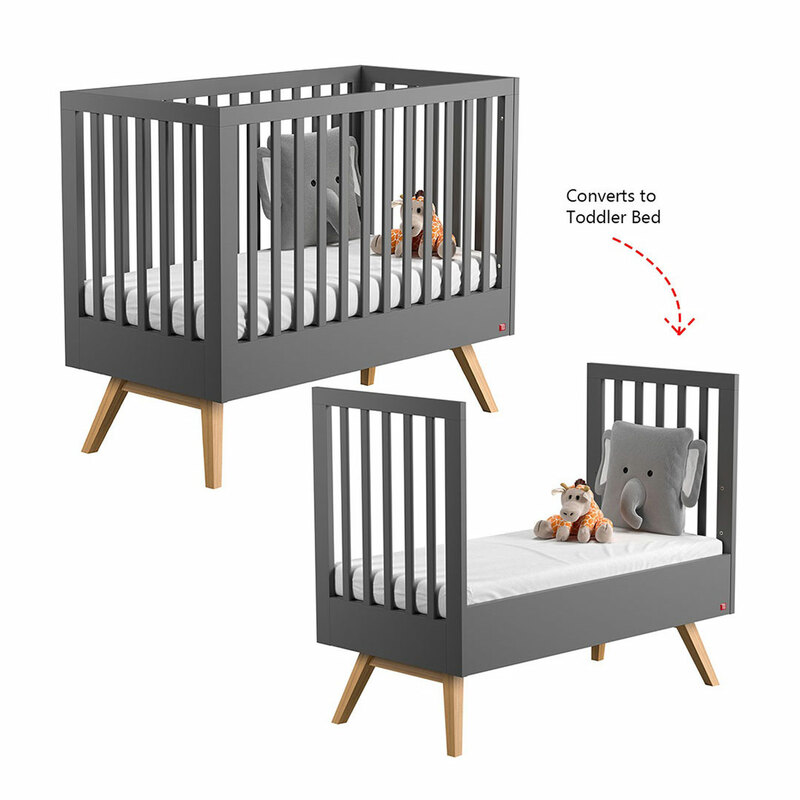 As soon as your toddler is ready to graduate from the cot, you can remove the side panels to reveal a perfect toddler bed with a comforting high headboard. For parents, it helps to avoid changing all the furniture as baby grows up. 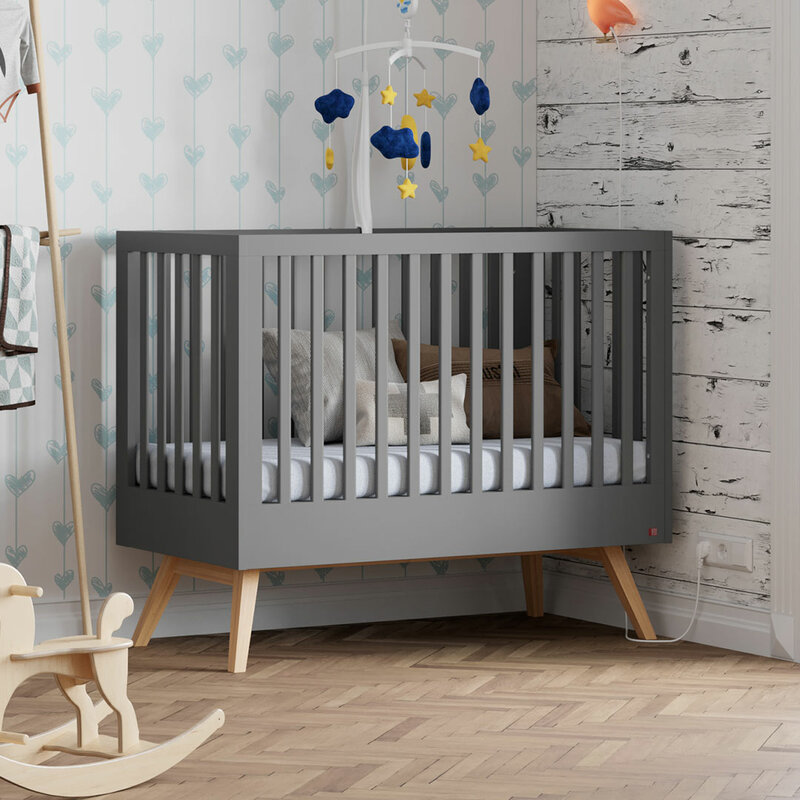 This convertible cot has a distinctive graphite finish complemented by the angled solid oak wood legs legs that are enriched by dyeing and varnishing. 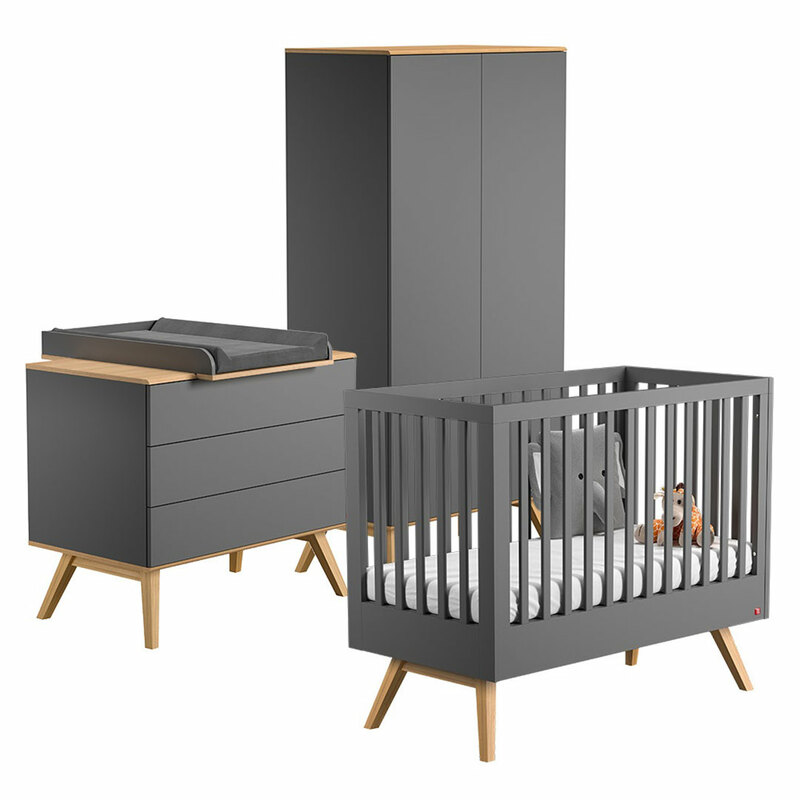 Complete your nursery with the other stunning pieces from the unique Mitra collection – the Two-Door Wardrobe and Dresser Compactum. 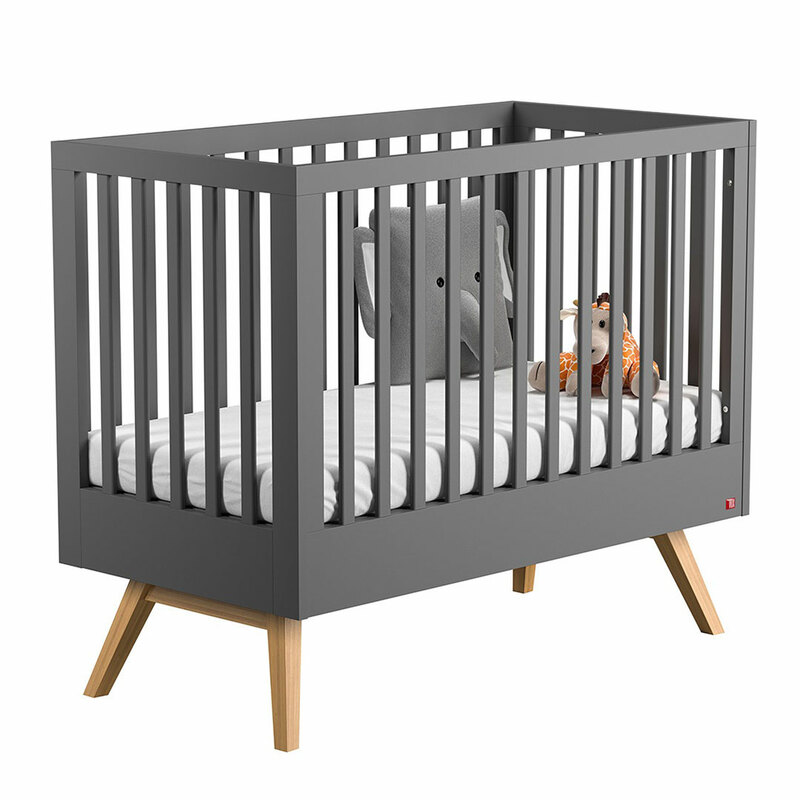 The cot bed is made of mainly laminated chipboard with a thickness of 22mm. 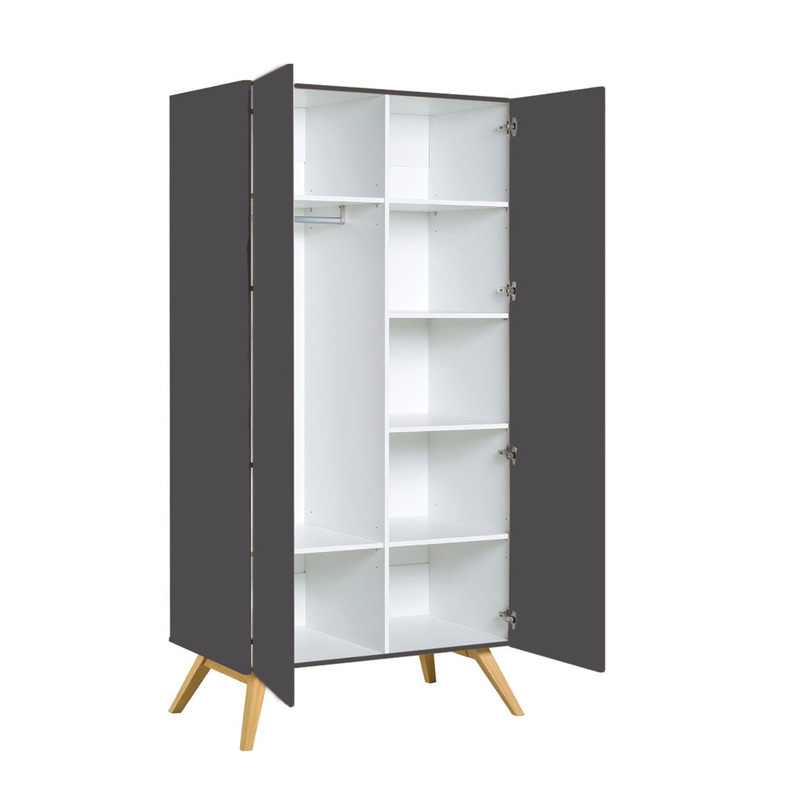 Some of the elements are made of MDF double-sided laminated board, refined in the varnishing process for the grey colour. 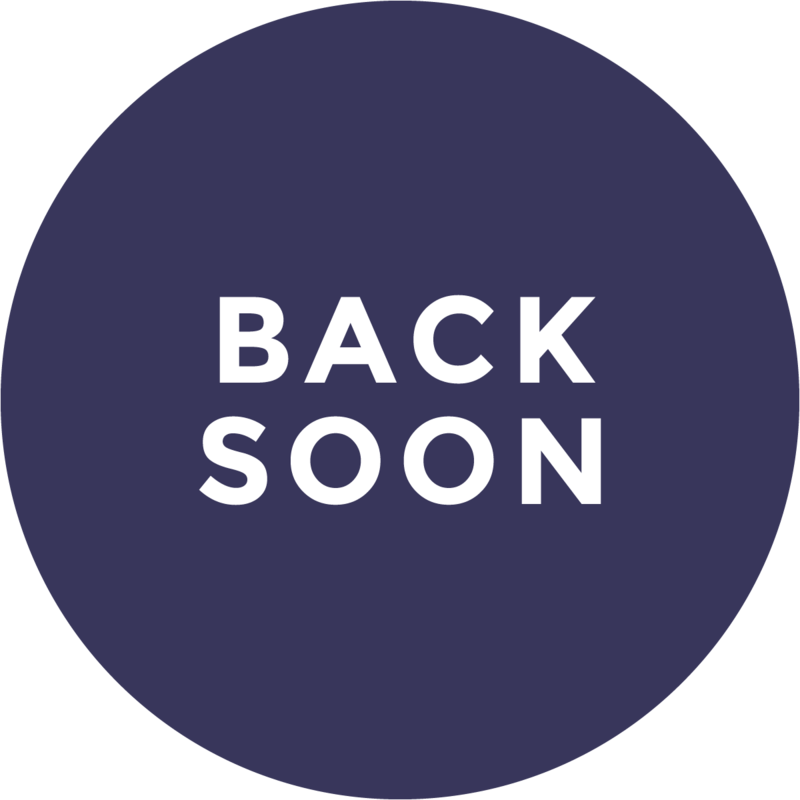 These boards are characterized by very low formaldehyde emission, hygiene class E1.